Telecare monitoring centres are staffed 24 hours a day, 365 days a year by trained staff. When you press the alarm button, the operators will automatically see your details on the screen in front of them. They will talk to you through the two-way speech unit in your home to find out whether or not you need help. If you do need assistance or the operator cannot get a reply, then one of your nominated responders will be contacted. These are people you have nominated to be telephoned by the monitoring centre if an alarm is raised. They could be neighbours, relatives or friends. In emergencies, the monitoring centre staff may call an ambulance or other emergency services. If you have a key safe the monitoring centre can give them the code to gain entry to your home. How long is a standard telecare monitoring contract? Most providers in Ireland offer a 12 month agreement for telecare monitoring, renewable annually. This is generally the case if you own the equipment or have had it supplied through the Seniors Alert Scheme. If you have a rental agreement with a supplier your contract could be for longer. How much does 24/7 telecare monitoring cost? Our sponsor TASK Community Care charges €66 (£52 UK) for around the clock monitoring. Their rates have not increased since 1991. Other providers fees vary. Some telecare companies offer low monitoring rates in year one but then raise prices in subsequent years, so it’s worth checking this out. Quality 24/7 monitoring doesn’t have to be expensive, so shop around. As you get older your care needs can change and it’s important to think about that before you purchase your telecare system. For instance someone in the same household may need an additional pendant. Or you may want a pull-cord installed in your bathroom. A bed exit alert could be added to guard against falls at night (if you forget to wear your pendant alarm button). Most companies charge for the monitoring of each additional telecare device separately and the costs can add up. Always consider this when you are purchasing your telecare system and ask for these costs up front. Our sponsor, TASK are one of the few telecare companies that will monitor any linked telecare devices in your home, completely free of charge. Can I change my 24/7 monitoring provider? Different 24/7 monitoring centres will have the capacity to monitor different types of equipment. If you own your equipment (including if it’s provided under the Seniors Alert Scheme) you can change your monitoring provider when your current contract is up (usually after 12 months). If you are thinking of changing your monitoring company, give the new provider a call first and they can confirm whether or not they are able to monitor your make/model of equipment. For example, our sponsor TASK operates a multi-protocol motoring centre which means they can monitor almost all makes/models. Depending on the type of telecare equipment you have installed, the monitoring may be transferable over the telephone. Always check this first, as some types of telecare equipment may need to be reprogrammed by an installer calling to your home (which means you could incur call-out charges). Always ask the new provider about this before you make a decision. 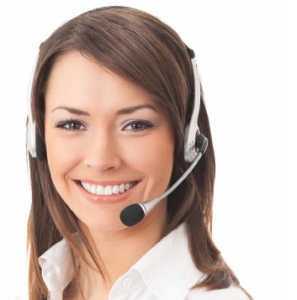 Call answering response times – what should you expect? Call answering response times are important. That’s how soon after you press the button, that you’ll be connected to a trained operator through the two-way speech unit. Ask about a provider’s call answering response times before you decide which telecare company to use. Our sponsor, TASK has some of the best call answering rates in the industry, with 99.7% of calls answered within 20 seconds by their trained CareLink™ Operators. Does monitoring include 24/7 technical support? Check with your monitoring provider if 24hr technical support is included so as operators can help solve any problems over the telephone, during the day but also at night. This is not necessarily included as standard with all monitoring providers.